Cruising solo is nothing to be scared of, says Penny Symons. In fact, it’s just the ticket for singletons – as the cruise lines are finally beginning to realise. Cruises are sold to couples, it’s as simple as that. The vast majority of cabins are fitted with a double bed, and all pricing is based on the assumption that two people will be sharing it. What’s more, on most cruise lines the second person gets a substantial discount or even travels free. Now, maybe this is news to some cruise companies, but not everyone is part of a couple. And until very recently, single passengers got an extremely poor deal. As a solo traveller you had no choice but to book a double cabin, so you effectively paid twice as much – or very nearly – as the couple next door. The industry would justify this practice on the grounds that a singleton represents a substantial loss of income. Half as many bar and restaurant bills, spa trips, excursions and all the other money-making extras will be chargeable to their cabin, so it hardly makes sense to ask less for the accommodation as well. That’s especially true on bigger ships, where the basic price is temptingly low and cruise lines make their money by charging for the many extras and facilities on board. There are welcome signs, however, that things are changing. Avalon is waiving single supplements on some of its 2017 European river cruises, and Saga has recently launched a week-long Rhine cruise specifically for solo guests. In October, 52 passengers will be sailing on the Arlene (commissioned from Avalon) from Bonn in Germany to Arnhem in Holland. Prices are £999 per person, with coach and Eurotunnel travel from Folkestone and all drinks included. Saga is leading the way in accommodating solo passengers, and its latest ship, currently being built for launching in 2019, will have 80 balcony cabins specifically designed for single occupancy. But other lines are also building ships with many more single cabins than has recently been the norm. 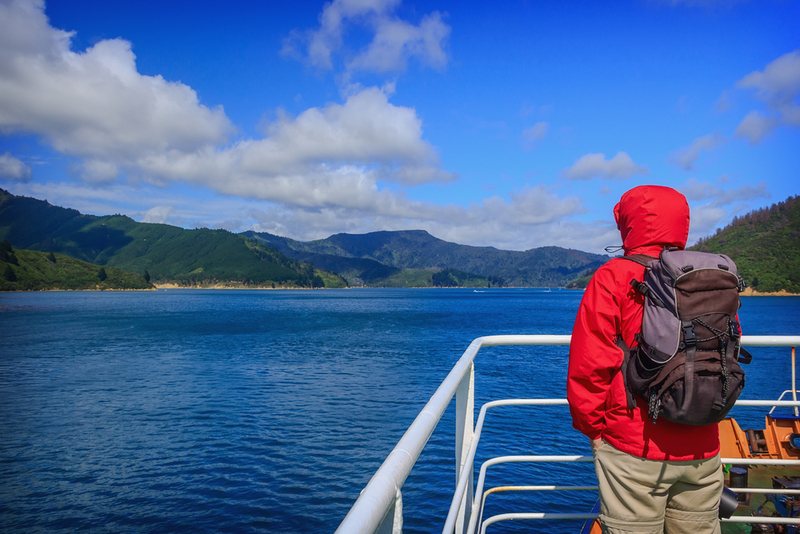 That makes perfect sense because the number of solo travellers is increasing – especially among the elderly, who are many cruise lines’ core market. And we’re not just talking about widows and widowers: divorce rates have rocketed among the baby-boom generation, and these so-called silver splitters are keener than ever to go on holiday, even (or perhaps especially) without a travelling partner. It’s a pity that change has been so long in coming, because a cruise is actually the ideal holiday for a single person. Savvy cruise lines welcome solo travellers with receptions right at the beginning – or even before the ship has embarked – to enable them to meet other singletons on board. Some of the more formal lines, such as Cunard, P&O and Crystal, employ gentlemen dance hosts so women travelling alone are guaranteed a non-threatening and elegant spin round the dance floor in the evening if they want one. Many – especially older – women regard this as the highpoint of their holiday, as opportunities for dancing with a skilful partner simply don’t exist on shore. Holland America and P&O offer these services on their longer voyages, while Oceania, Silversea and Seabourn also make special efforts to entertain solo passengers with dinners hosted by the ship’s officers, lecturers or entertainers. If all this is beginning to sound a little oppressive, don’t worry – those who prefer their own company are, of course, free to do as they choose. Traditionally, it has been the top-end lines, operating smaller ships, that offer the best deals for solo travellers, mainly because they’re all-inclusive so a hefty on-board spend is already factored into the much higher fares. But that, too, is changing. Royal Caribbean International’s Quantum of the Seas and Anthem of the Seas each now carry 28 solo ‘studio’ cabins, featuring industry-first ‘virtual balconies’ – 80-inch floor-to-ceiling LED screens, projecting real-time ocean and port views. That’s not quite the same as having an outside cabin with a window, but it’s much less claustrophobic than a blank wall. Then there are ‘super studios’, with 55sq ft open-air balconies – and these, like the standard studios, carry no single supplements. Norwegian Cruise Line has taken the same route, and its recently launched megaships – Norwegian Getaway, Norwegian Breakaway and Norwegian Epic – all offer studio cabins priced for single occupants. These ships also offer a choice of hosted activities and a concierge for booking dinner reservations and shore excursions, specifically for solo travellers. Saga goes even further, allocating almost 25 percent of its cabins to single travellers, with 44 single cabins on Sapphire, and 60 on Saga Pearl II. 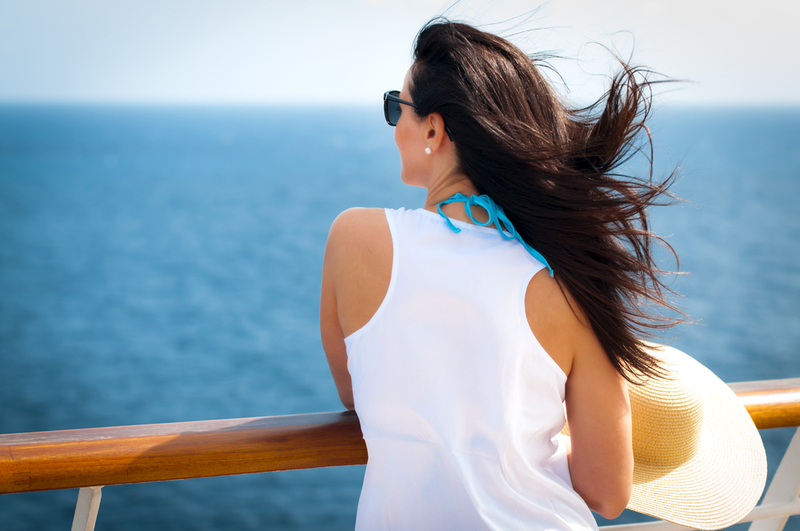 Cruising solo may seem daunting at first, but not having to accommodate someone else’s wishes – or shortcomings – allows you to do exactly what you want, when you want to do it. And what’s not to like about that? Think small. If the megaships are cities at sea, then smaller ships are more like villages – which makes it much easier to make friends (I have travelled on megaships only to find that old friends were also on board but the ship was so big I simply never bumped into them). Get out and about. Excursions offer good opportunities for socialising with like-minded people. While families and young couples head for the beach, you’ll find you have plenty in common with others who choose to visit archaeological ruins or botanical gardens, or go horse-riding or canoeing. Choose your dining companions. If the ship has open-seating dining then that’s relatively easy. But even if not, you are still entitled to ask for a transfer if you don’t want to be stuck with the same people, night after night. Get to know the cruise director and social hostess. Both are important to meet early, especially if you are shy about introducing yourself to strangers. And always carry a few cabin number cards. This might seem naff, but it can be easy to lose contact with someone you meet – and like – on Day One. It would be a pity not to see them ever again (particularly likely if you’re sailing on a megaship). Shop around. Since upmarket cruise companies tend to offer price breaks to solo cruisers more often than the mainstream lines, you may find that a luxury ship with a minimal supplement is better value than a mass-market ship with a hefty one. Avoid school holidays when demand is high, and be flexible with your departure dates as some cruise lines may extend last-minute solo discounts on sailings departing imminently. Check the internet and adverts in newspapers, and sign up for cruise line email or text alerts. Saga is very single-friendly, as detailed above, but also take a look at Hebridean Island Cruises, whose 50-passenger Hebridean Princess has ten single cabins (and is the only ship to bear a Royal Charter, because the Queen loves cruising on it). On Silversea, the single supplements can be as low as 25 percent. The same goes for Crystal, though 10 percent is not unknown on select sailings. Regent Seven Seas offers solo travellers a 50 percent supplement on select cruises booked in advance, as does Sea-bourn, depending on availability. Star Clippers has waived single supplements on nearly a dozen of its tall-ship Mediterranean sailings (you’d have to be a hermit not to make friends on one of these), and the French-run yacht-style ships of Compagnie du Ponant often offer itineraries with no single supplements (though you might need a good grasp of French to break the ice).